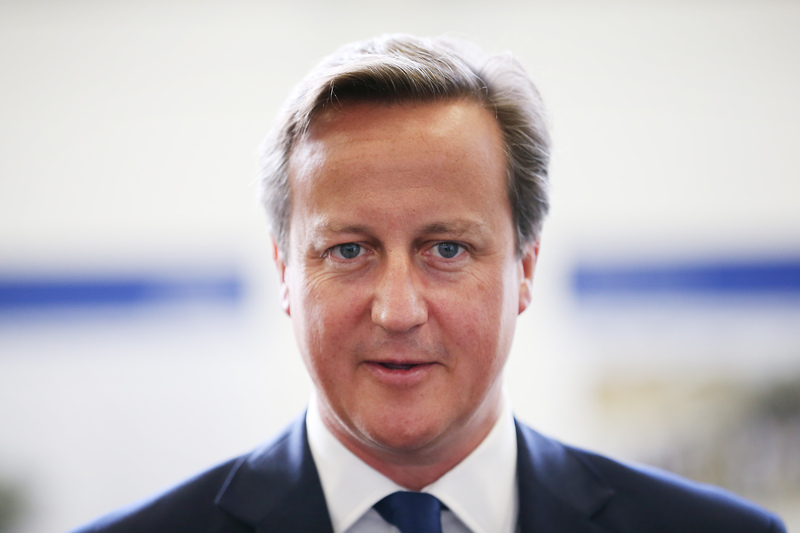 Conservative Party Wins UK Election So What's Next For Returning Prime Minister David Cameron? The results are officially in, and the Conservative Party has won the UK election. The decisive victory, a surprise given experts predicted a tight race, means David Cameron will return as prime minister, and a meeting is already set for 12:30 p.m. local time between Cameron and Queen Elizabeth on whether he can form a government. So what's next for the country wracked with questions of independence both within the UK's borders and externally with the European Union? With all the United Kingdom's 650 seats declared, the total tally was 330 seats to the Conservative party, 232 to Labour, 8 to Liberal Democrats, 56 to the Scottish National Party, and one apiece to Ukip and the Green Party. The particularly strong showing from the nationalist SNP came at the expense of the Labour Party, which was left with just one seat in Scotland, where, in 2010, Labour had 41. Even with hours to go before the final results came in, Cameron was already doing a victory lap online, tweeting a photo of himself happily kissing his wife Samantha. The photo was accompanied with the caption, "Here's to a brighter future for everyone." Cameron said he hoped to form a government so he could govern for all of the UK. Labour leader Ed Miliband said it was a "very disappointing and difficult night" as his party suffered huge losses in what polls expected to be neck and neck. Miliband retired as leader of the party on Friday in light of the humiliating defeat. Many of Labour's losses came in Scotland, where a surge of nationalism and increased calls for independence led to big wins for the SNP. Miliband apologized to defeated members of parliament, including finance minister Ed Balls and election campaign chief Douglas Alexander, who lost his seat to 20-year-old student Mhairi Black, the youngest MP elected since 1664. The next government has a huge responsibility. It has a huge responsibility in facing the difficult task of keeping our country together. Cameron now faces the daunting task of managing a country split on two issues of independence. Throughout his campaigning, Cameron repeatedly promised to quickly bring about a referendum on whether the UK should withdraw from the European Union. North-south tension also threatens to further divide the country. Just last year, Scotland voted to stay in the UK, but the strong SNP showing could be a sign of return debates. Both issues signify a change in the UK's priorities, a shift from a global view to a domestic one. That could signify major ramifications for the United States, who has long viewed the UK as one of its biggest allies.